• What if I take a first job and then realize I don’t like what I’m doing? • What if I decide I want to work for a different company? • Should I take the first offer I get to ensure I have a job, even though I don’t want to work at that company? 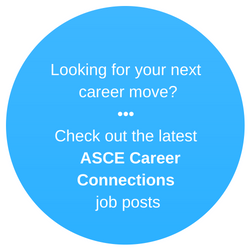 • How do I figure out which discipline within civil engineering is right for me? Let me attempt to answer all of these questions with one sentence. You should not feel married to your first civil engineering job in any way. Period. The world of civil engineering is vast, with multiple disciplines and subdisciplines. In fact, my wife and I both went to school for civil engineering, but, early in our careers, she focused on geotechnical engineering and I focused on land development. Two very different disciplines. At times, when we discussed work at the dinner table, it was like we were speaking different languages. In my first job as a civil engineer, I started doing work on small bridge projects, then tried geotechnical engineering, and eventually learned about land development and fell in love with it. I was lucky to be able to try all of these different roles for the same company. The point here is simple: go into your first civil engineering job with a very open mind. Try as many things as you can but know that you can always change course early in your career. You can actually change course at any time, it’s just usually easier the earlier you do it. My wife, after 10 years in Geotechnical, now works in Water Resources, and I provide management coaching and training for civil engineers. Go figure. The key is to maintain that open mind, be flexible, and see if you’re drawn to try different things. Now let me answer the specific questions I laid out earlier. What if I take a first job and then realize I don’t like what I’m doing? Don’t panic if this happens to you. First, inquire within the company to see if you can try something different. I did, multiple times, in my first position. If that isn’t an option, then look for a new job while maintaining your existing one. It’s OK to hop around early on in your career until you find the right fit. What if I decide I want to work for a different company? No problems here; simply look for that new company while maintaining your existing job. As I mentioned in my last answer, it’s OK to hop around a bit early on in your career until you find where you fit best. Should I take the first offer I get to ensure I have a job, even though I don’t want to work at that company? That depends on multiple factors, including the state of the economy at the time. It’s better at a young age to be employed and learning, so even if it’s not the perfect job, I would say take it, then adjust later. You might actually like it, and if not, you’re young enough to make a change. As you gain more experience, I would advise against taking a job just for the sake of employment, but sometimes you need the income. Consider all options and always make the best decision for you and your family. How do I figure out which discipline within civil engineering is right for me? I recommend trying different disciplines early in your career. This worked for me and for many people I know. It may mean that you seek to work for a company early on that is multidisciplinary. I have found that to be a good strategy for young civil engineers. Regardless of which path you take, remember that as a young civil engineer, your primary role should be to learn and try new things. Be a sponge and soak up as much knowledge as you can, through your work, conversations, and actions. No matter what happens, remember – don’t get married to your first job. You always have options. 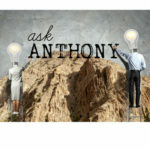 Anthony Fasano, P.E., M.ASCE, is the founder of the Engineering Management Institute (previously known as the Engineering Career Coach), which has helped thousands of engineers develop their business and leadership skills. He hosts the Civil Engineering Podcast and he is the author of a bestselling book for engineers, Engineer Your Own Success. 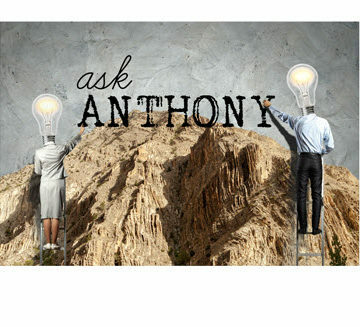 Anthony helps small to mid-sized civil engineering firms build powerful internal training programs that foster engagement and development. He has also recently started the Engineering Management Accelerator to help engineers become more effective managers: www.EngineerToManager.com.